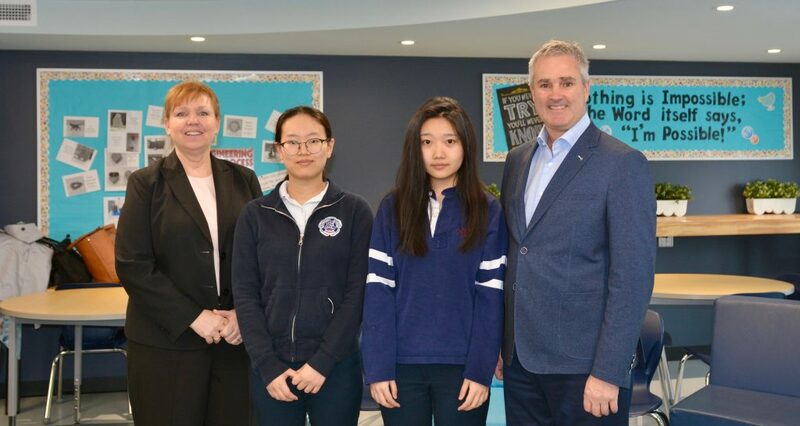 The Sudbury Catholic District School Board is pleased to congratulate Xingyu Chen and Yixuan Zhang, two of its International students from China who are graduating this year and have received acceptance offers from Laurentian University as well as $40,000 each in bursaries. This is a tremendous opportunity for our students and we are extremely proud of their accomplishments. It is also a testament to the high quality education we offer and a great example of the outstanding opportunities that exist for our international students. Congratulations Xingyu Chen and Yixuan Zhang, your hardwork has certainly paid off!